When I started triathlons, I wasn’t sure how much I was going to like the sport, so I didn’t want to lay out big bucks for a bike. I found a used Trek Hilo 2000, which served me well as a novice. It didn’t take too long for me to realize, however, that a) I was serious and b) I had some major bike envy. It also turned out that the Trek was a little too big for me, which helped explain why I never got comfortable in the aero bars. One Black Friday s ale at Tri Sports later, I was the proud owner of a 2012 Quintana Roo CD0.1 Ultegra model. 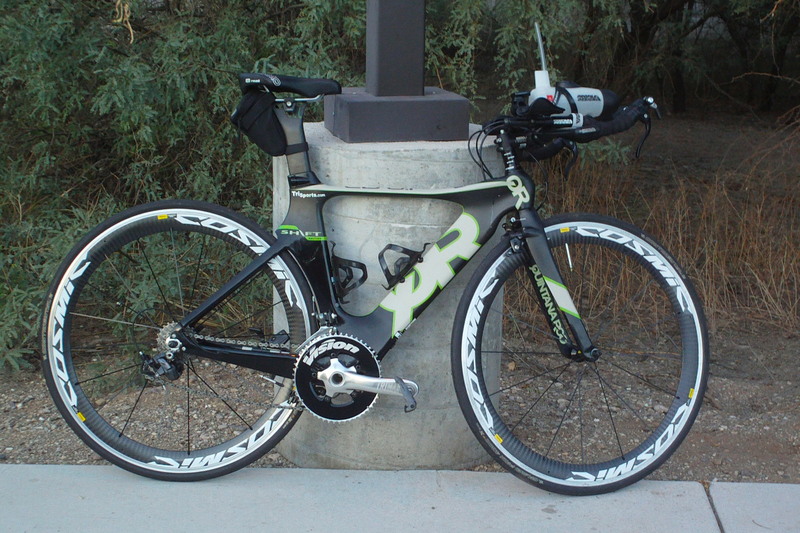 Love the bike, has it got an adamo saddle and if so how do you find it? Ha ha I agree with your earlier comment, but yes the tri sports option isnt the best but there will be somewhere else I can find one to trial here. I had the option to have one on my bike but had a different option instead. ill give it a go. I have a Planet X exocet 2, not that popular over your part but a really good bike. I’m not familar with that make or model of bike. One other thing: have you had a proper fitting? That makes a huge difference as far as comfort and power and aerodynamics. I have done but I didnt rate the fitter so I will probably have another one soon with a different place. If you stick planet X Exocet 2 into google images it will give you an idea. also has dura ace 7900 groupset aswell so I love it. Pretty sweet! And Dura Ace, snazzy! 🙂 always good to get a second opinion! good luck for the season! Absolutely 🙂 I am going to follow you too. why thank you, I will try not to dissapoint !